Home / News / DA Secretary highlight the risks of President Duterte meeting Benguet landslide victims: "A caring President!" DA Secretary highlight the risks of President Duterte meeting Benguet landslide victims: "A caring President!" President Rodrigo Duterte and his team went to Itogon, Benguet to meet the families of the landslide victims last Monday. 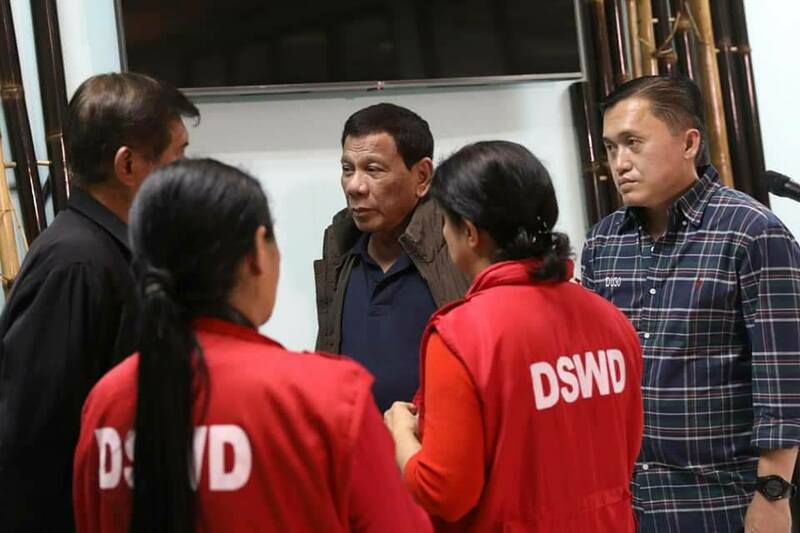 In Spite of the risk in taking off the mountains of Benguet due to the fog covering the area to be landed, Duterte still wants to proceed in the location disregarding the risk he may encounter at that moment. In a Facebook post by Department of Agriculture Secretary Manny Piñol, he shared how the president sustain his role to provide empathy to the people who needed him most aside for the financial assistance they will be getting from government agencies. Piñol narrated how risky the helicopter of the President to land in the Loakan Airport in Baguio City, and pilot have to go back to La Union since a great number of fogs is covering the airport. Duterte have to proceed by land travel to Benguet Provincial Capitol in La Trinidad, to condole with the landslide victims. Piñol remembered in this scenario, when Duterte was still Mayor of Davao City that he have to stop in the middle of a rainy night when he saw a mother and a child stranded in the street. He asked his driver to stop and pick up the mother and child and bring them home. And while the driver is with the mother and child, Duterte waited for the vehicle to return while talking to the people in the roadside. 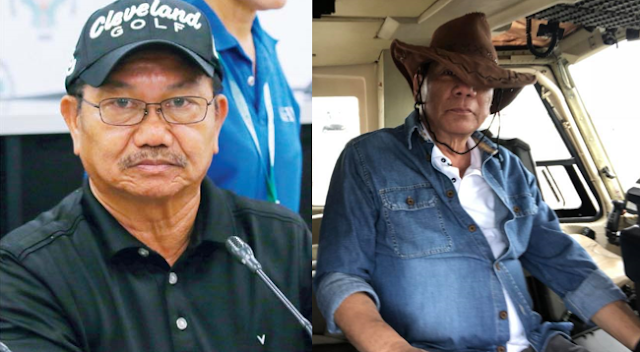 Piñol elaborates that Duterte is a leader in times of crisis. That is the kind of leadership we need in our country. A leader with #TapangAtMalasakit! and #LiderNaNagmamahal! ended by Pinol in his Facebook post. 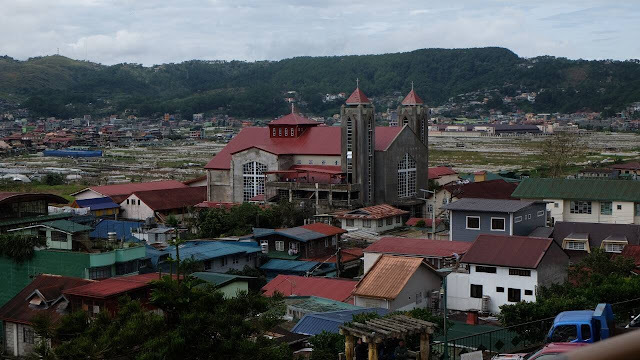 La Trinidad, Benguet - This is a story the mainstream media may have missed which I have to share with the Filipino people. 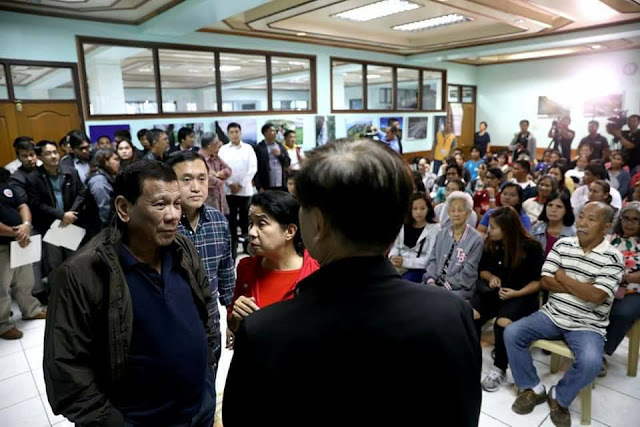 President Rody Duterte, in his desire to meet the families of the landslide victims in Itogon, Benguet, took risks which may have scared the wits of the Presidential Security Group. The Presidential helicopters which President Duterte used from La Union to the Loakan Airport in Baguio City had to turn back after the pilots determined that it was very risky to penetrate the fogs covering the city at about 5 p.m.
President Duterte told me during the post-disaster assessment briefing that he asked the Presidential pilots to fly through the fogs. After several unsuccessful attempts to find an opening, the pilots had to advice the PSG that it was too risky and returned to San Fernando. 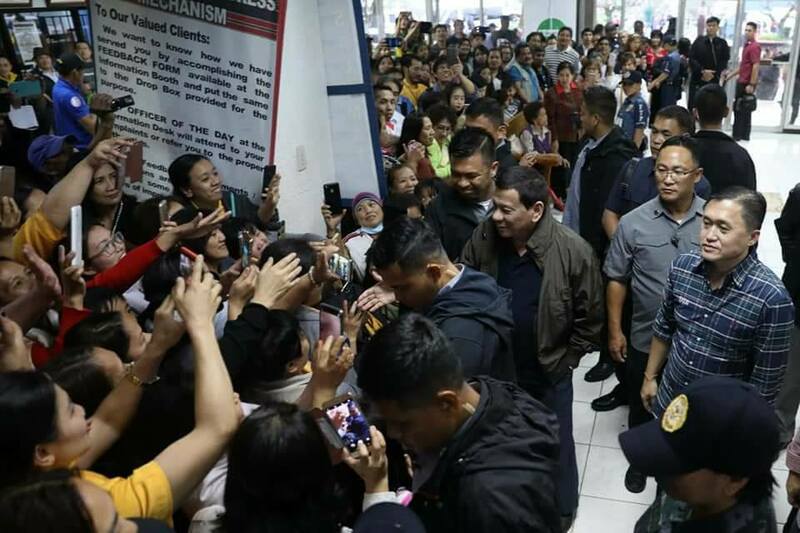 Determined to proceed to the Benguet Provincial Capitol in La Trinidad, President Duterte decided to travel by land. 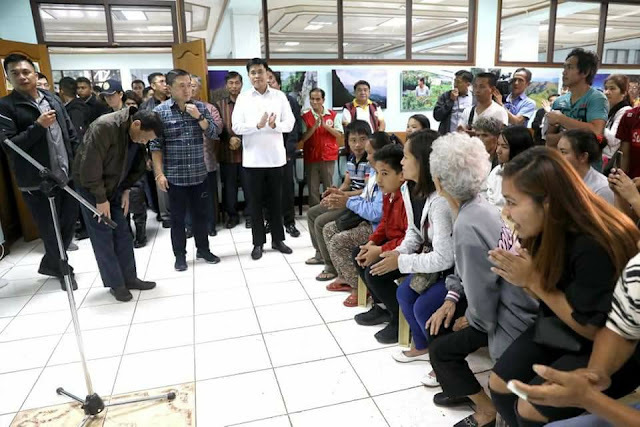 Arriving in La Trinidad shortly before 6 p.m., the President met with the families of the Itogon landslide victims at the lobby of the Capitol to offer his condolences and sympathies. He then presided over the post-disaster assessment which lasted up to 8:30 p.m. and motored back to San Fernando, La Union where the Presidential helicopters were. From there, he took a one-hour night flight by helicopter back to Malacañang. In my view, the President took an unnecessary risk because he could have postponed the trip for the next day. But this is a President like no other and I have no intention of belittling the dedication to duty of other leaders before him. I remember that incident in Davao City when he was Mayor when he got off his pick up and ordered his driver to help a mother and child stranded during a rainy night. The driver brought the woman and his child home while Mayor Duterte spent time talking to people by the roadside while waiting for his vehicle to return. That's his style. That's his brand of leadership. He is a leader who would like to be with his people in times of crisis. (Photos of President Duterte's meeting with families of the landslide victims were taken by the Presidential Communications Office.)"